Duh-dun! 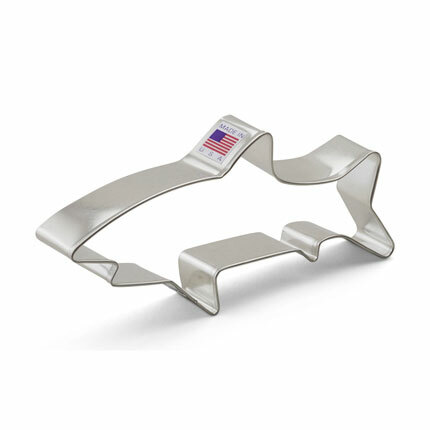 The 5 3/4" Shark Cookie Cutter won't do nearly as much damage as Jaws, so bring it into your kitchen for some aquatic-themed baking. 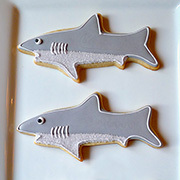 Sink your teeth into delicious shark cookies! Perfect for beach parties, pool parties and Shark Week. 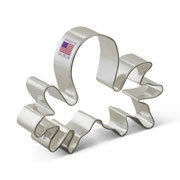 Cookies decorated by "One Smart Cookie"
Fun shape, great quality metal cutter. 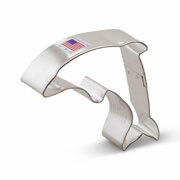 Excellent product and shipping was almost next day!!! Very happy with my purchase.